Bestel An Abundance of Katherines voordelig bij de grootste kinderboekwinkel van Nederland. Levertijd 1 dag. #1 bestselling author John Green like you've never read him before. Introducing Penguin Minis! 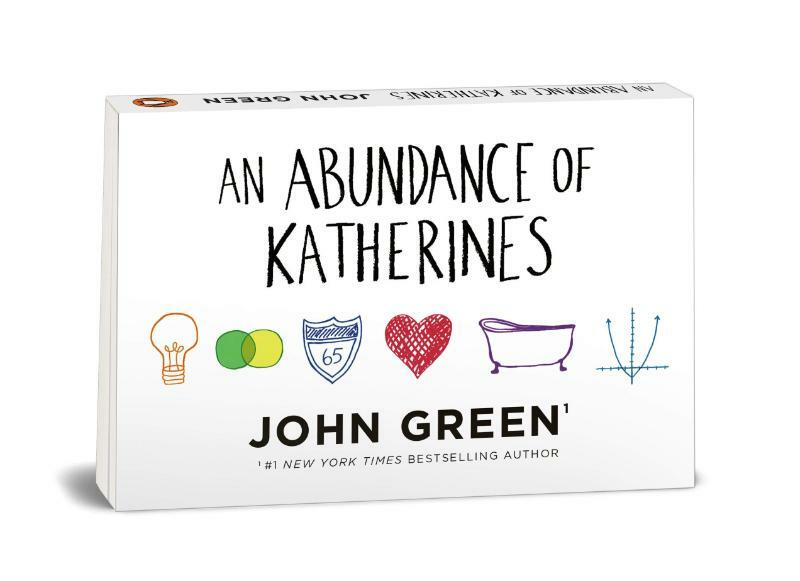 The award winning An Abundance of Katherines is now available as a Penguin Mini edition. Complete and unabridged, the book's revolutionary landscape design and ultra-thin paper makes it easy to hold in one hand without sacrificing readability. Perfectly-sized to slip into a pocket or bag, Penguin Minis are ideal for reading on the go. About An Abundance of Katherines: A Michael L. Printz Honor Book Los Angeles Times Book Prize Finalist When it comes to relationships, Colin Singleton’s type is girls named Katherine. And when it comes to girls named Katherine, Colin is always getting dumped. Nineteen times, to be exact. Now, on a road trip far from home, this washed-up child prodigy is on a mission to prove The Theorem of Underlying Katherine Predictability, which he hopes will predict the future of any relationship and avenge Dumpees everywhere. Love, friendship, and a dead Austro-Hungarian archduke add up to surprising and heart-changing conclusions in this ingeniously layered comic novel.